Chipotle, known for its burritos and burrito bowls, has occupied a place at One Brattle Square for over a decade. 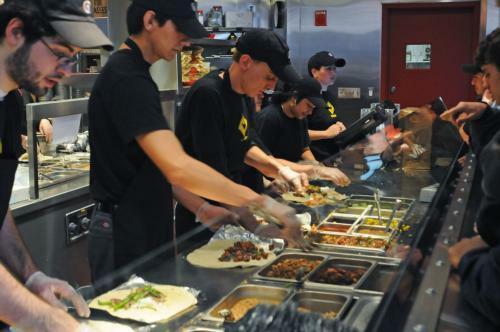 Declining popularity and intense competition from rival Mexican restaurants like El Jefe’s Taqueria and Felipe’s Mexican Taqueria were driving forces behind Chipotle’s departure, according to Executive Director of the Harvard Square Business Association Denise A. Jillson. “We knew for a while they were struggling to keep open. They just weren’t getting the kind of business that they needed in order to stay an active and viable business in Harvard Square,” Jillson said. Chipotle is the latest in a string of Harvard Square businesses to close its doors, following the closings of Crema Cafe and Tealuxe in December. The restaurant was met by an enthusiastic welcome when it first moved into Harvard Square in early 2008. Its grand opening saw long lines of hungry diners, eager to support the chain’s arrival in the Square – and to grab a celebratory free burrito. But its popularity has waned in recent years. 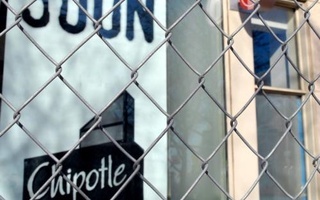 Jillson said Chipotle has failed to match its rivals in the Square in attracting customers. Other Mexican restaurants in the Square have retained loyal consumer bases that have given them the upper hand, according to Jillson. “When a business fails or leaves the Square, there’s always more than one reason and, many times, in almost all cases, it’s consumer driven,” she said. Jillson also cited the negative publicity surrounding recent outbreaks of foodborne illnesses as a potential cause of the business’s waning success. 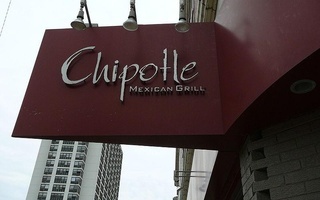 In 2015, 80 Boston College students fell ill with norovirus after eating at a local Chipotle. The chain’s reputation suffered another blow in the summer of 2018 after an outbreak of the clostridium perfringens bacteria in an Ohio restaurant. Chipotle National Headquarters did not respond to a request for comment. It is unclear who will fill the space left by Chipotle. Piedmont Office Realty Trust, Inc., the real estate investment firm that owns the property at One Brattle Square, did not respond to a request for comment. Several students said they valued Chipotle’s convenience, quality, and affordability, and will miss the restaurant. Lauren A. Sierra ’19 said she was saddened and disappointed by the news of Chipotle closing. She said she will now have to go to El Jefe’s and Felipe’s for her burrito bowls. “I just don’t understand why we can't have nice things,” Sierra, a former Crimson editor, said. Though it will now be harder for Harvard students to dine at Chipotle, Cambridge residents still have access to four other Chipotle locations across the city. The nearest Chipotle to Harvard Square will now be be on Massachusetts Ave. in Cambridge’s Central Square. Diab “Dody” T. Eid ’20 wrote in an email that Chipotle’s closure has left him shocked and dismayed. —Staff writer Katelyn X. Li can be reached at katelyn.li@thecrimson.com. —Staff writer Declan J. Knieriem can be reached at declan.knieriem@thecrimson.com. Follow him on Twitter @DeclanKnieriem. ​The historic 1912 Conductor’s Building—the only surviving structure from Cambridge’s earliest subway system—is back in business, but this time without any subway cars.